"It has been a long held dream of the 1914-18 Aviation Heritage Trust to build an exact and airworthy reproduction of the FE.2b." The FE.2b is an iconic RFC observation aircraft. Factory drawings have been located, and some original parts collected - but the problem, as always, was the engine. 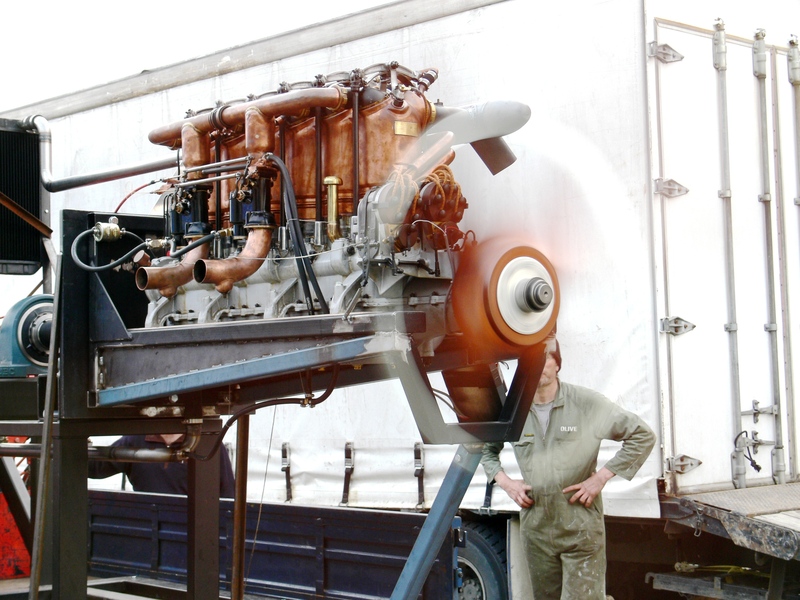 However, three years ago, word reached New Zealand that an original Beardmore 160hp engine had been located in Uruquay. There had been some FE.2b's in South America, with one recorded as crashed in Argentina, in 1920. 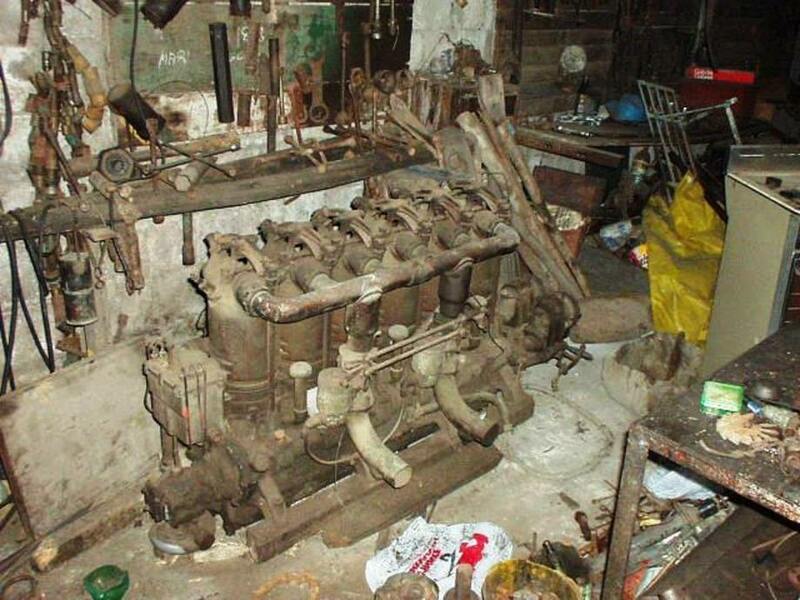 When the engine was inspected in the dusty corner of a small farm shed, the surrounding pile of debris was found to contain a radiator, oil tank, exhaust, and many other useful metal parts from an FE.2b. The engine was soon on it's way to Wellington, NZ. 80 Years of Grime Preserves Rare Engine! Although covered in many years worth of soil and tarnish the engine appeared to be complete and in untouched condition. Initial inspection by delicate and strategic cleaning revealed a precious gem beneath. It had only run a handful of hours before being mothballed.The engine was painstakingly stripped down to its individual parts. Extreme care was taken to ensure parts were not damaged throughout the process. Threaded fasteners were found to be in excellent condition, this was put down to the fact that the engine had been stored in a dry climate and had a significant coating of oil and grease on its external surfaces. Gentle cleaning revealed an engine that had been subject to very limited use. 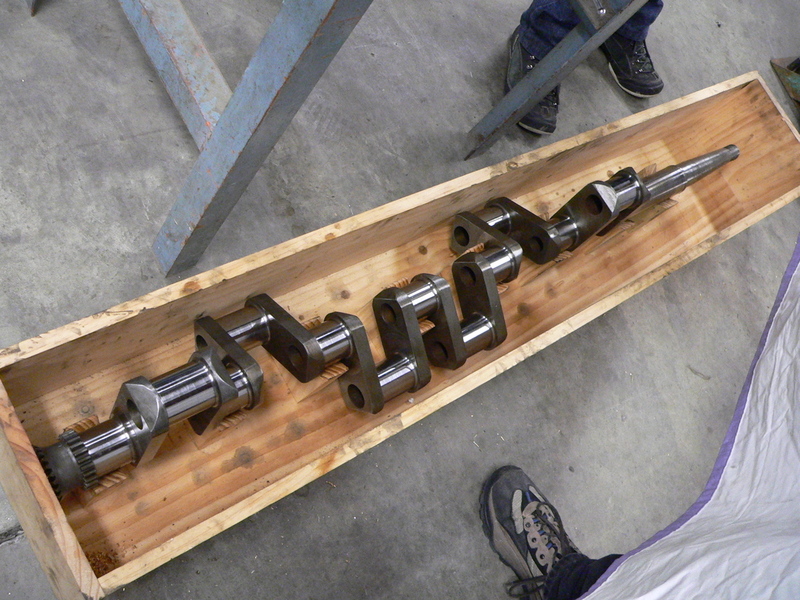 Wear levels were low and even the white metal bearings and crankshaft were found to be in exceptional condition. 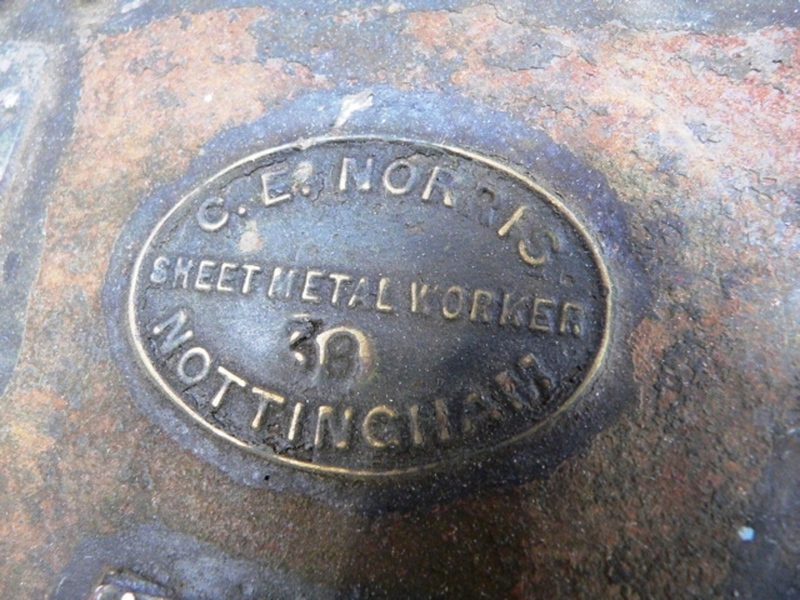 Copies of original data were used to assess the wear limits and general condition. Gaskets and seals were manufactured and parts were replaced where necessary. The highly stressed engine parts underwent Magnetic Particle inspection and fortunately all were found satisfactory with no cracking evident, a tribute to the original manufacturer. 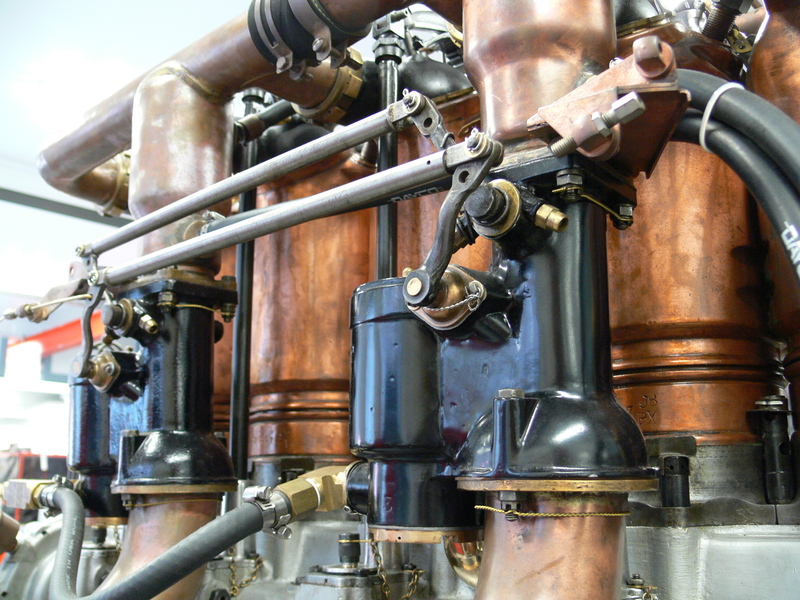 Parts that had corrosion evident were treated using special processes to restore or refurbish the surfaces. 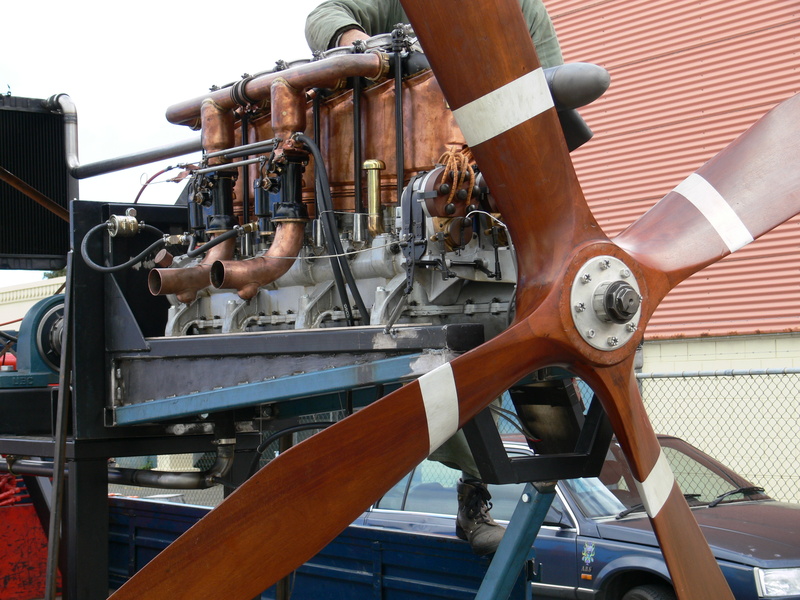 Standard engine overhaul methods were used i.e. grinding, plating, machining and polishing to bring the engine back to its original condition and specifications. 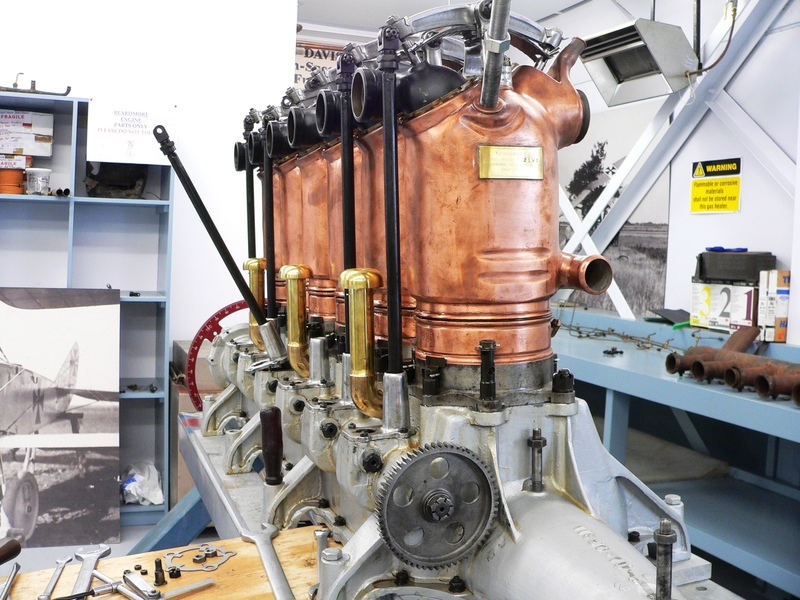 The engine was gradually assembled on a purpose-built stand until it looked much the same as it had 90 years ago. It's interesting to see just how colourful some engines were. The carburettor and magnetos were stripped, cleaned and overhauled, new gaskets, seals and parts were then made and fitted where required. When the overhaul was complete the engine was fitted to a purpose-built test rig and bench and tested to ensure correct operation. The initial start was an historic and exciting moment. After several rotations the 600 pound power plant burst into life. Even at an idle rpm of around 500 rpm the air shifted by the original giant 4 bladed airscrew was staggering. Advancing the throttle to around 1000 rpm created cyclone-like conditions which made passing by, even at some distance away from the prop rather difficult. After a time the engine settled down to a regular beat and ran flawlessly throughout the test, a credit to the original designers and the technicians who carried out the overhaul work. It should be noted that the 160hp originally quoted by the manufacturer was somewhat conservative, original power curves show the engine producing over 170 hp at 1200 rpm and around 200 hp at 1500 rpm. 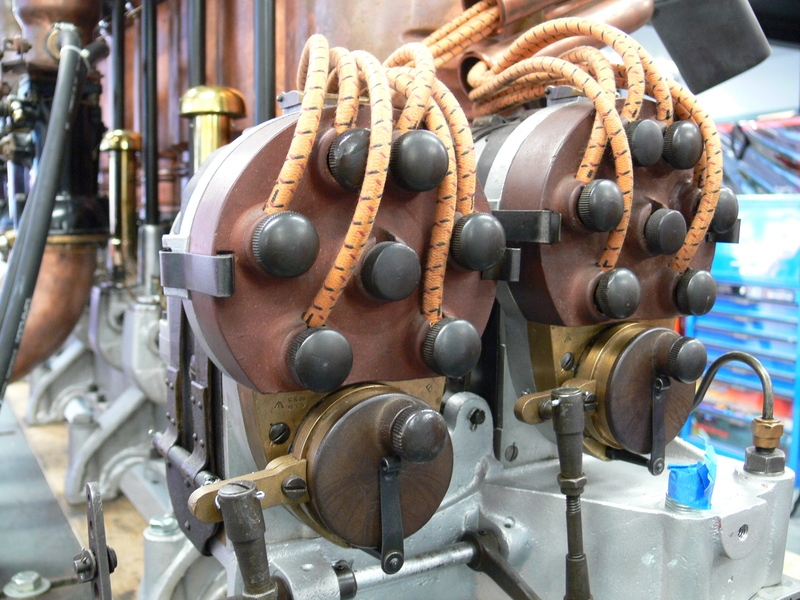 The engines operational maximum was limited to 1200 rpm for endurance reasons. With the engine complete, work on the aircraft commenced. The Vintage Aviator's ongoing project to build an airworthy FE.2b will be the subject of regular updates on our website. 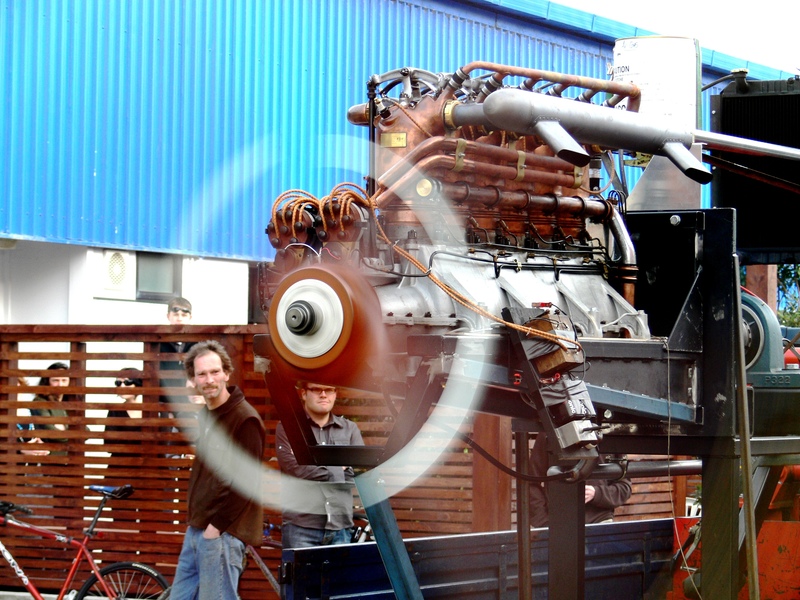 See a video of the engine in action.